On Nov. 30 and Dec. 1, The No. 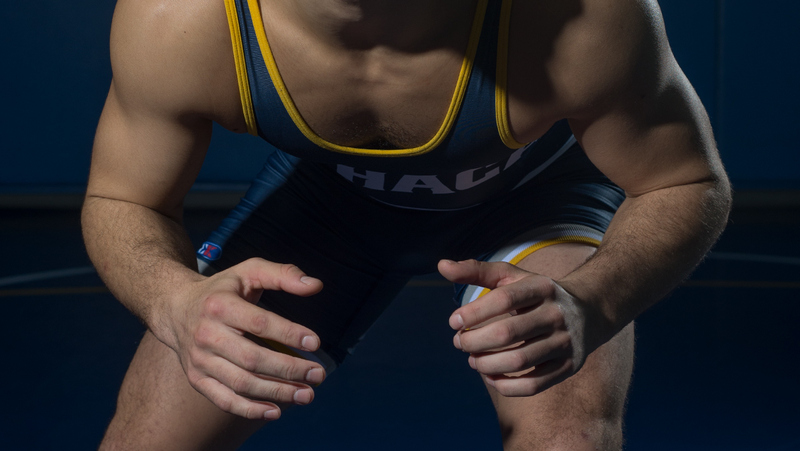 3 Ithaca College wrestling team traveled to York, Pennsylvania for the New Standard Spartan Invitational where the team placed 2nd in the two-day tournament. In the opening day, the Blue and Gold placed second out of 16 teams, receiving 38 points. In the 125-pound bracket, Senior Ferdinand Mase defeated Austin Jones from Elizabethtown College by technical fall 18–0 and earned a 6:13 fall over SUNY Cortland junior Ben Lloyd. 133-pound junior Tito Colom secured a 18–1 technical fall over Averett University sophomore Korpesh Gootee and a 5–1 decision against Johnson & Wales’ Nick DeSola.133-pound freshman Dylan Earl defeated Elizabethtown freshman Josh McLaughlin by a 5–2 decision and also took a 10–2 decision over Johnson and Wales University freshman Nick DeSola. 141-pound junior Ben Brisman won against junior Nic Mele from The College of New Jersey by a 14–6 major decision and earned a 2:16 fall over senior Watna Cunha of Johnson & Wales. In the 157-pound bracket, Jawan Jones defeated York College freshman Robbie Fleming by a 3:43 fall and also won via a 3–1 decision against Johnson and Wales junior Brady Robin. 285-pound senior Jake O’Brien collected a 1:34 fall win against Baldwin Wallace University freshman Parker Meaney, as well as a 18–3 technical fall over Elizabethtown junior Maxwell Rhoden. During the 2nd day matches, the Bombers stood strong in the tournament. In the quarterfinals, Brisman won a 8–0 major decision over Everett’s freshman Brandon Woody. Mase faced sophomore Chad Craft from Baldwin Wallace, winning by a 3–0 decision. 197-pound freshman Elijah Rodriguez secured a 5–1 decision against Stevens Institute of Technology sophomore Colin Myles. In the semi-finals, Brisman and Mase attained wins; Mase defeated Averett sophomore Samuel Braswell by a 4–2 decision and Brisman took a 6–4 decision win against Johnson & Wales senior Joe Ferinde. O’Brien took on Johnson & Wales freshman Jayson Gomez, winning the match by a 17–1, 5:50 technical fall. In the finals, O’Brien and Jones took first place wins in the 285-pound and 157-pound brackets. Both 125-pound Mase and 141-pound Brisman placed 2nd in their brackets. Finishing in 4th place the 133-pound bracket was Colom, while Rodriguez places 6th in the 197-pound bracket. The Bombers received 106.5 points for the day, with 144.5 total points earned in the invitational. The Blue and Gold will be back in action at noon Dec. 8 in Oswego, New York to face Oswego State, and will take on Jamestown Community College at 1:30 p.m on the same day.